One of our Eagle students, Winnie, graduated last September. As an Eagle Scholarship student she started at Kilimanjaro English Medium primary school in Arusha. There she ranked quite a few times as best of her class and then she went to Joyland Secondary school. 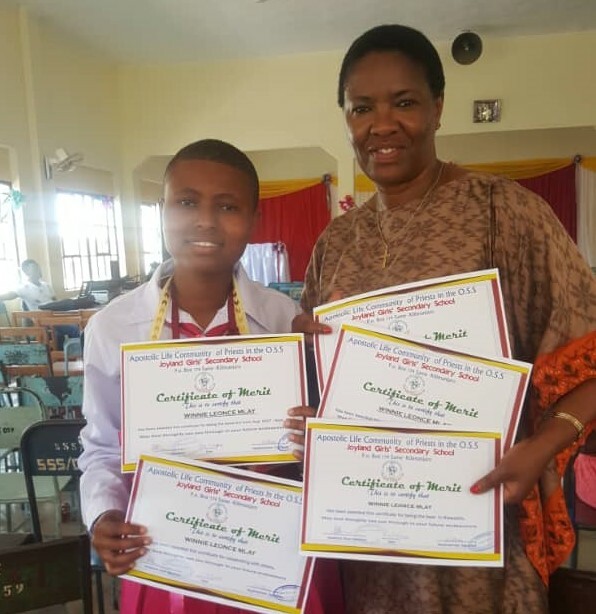 She got a place at this famous public school because her results at the end of primary school showed that she was one of the best students in Tanzania! Also at Joyland she belonged to the best of her class and was even head girl which means something as president among students. Her parents and Jane joined her on this special day!